Voiandes, located at 600 meters above sea level, is one of the most distinctive villages in Tremosine sul Garda, surrounded by magnificent natural landscapes and with a splendid medieval old town. The name of the village was first mentioned in 1268, in a document of the Benacense diplomatic code. 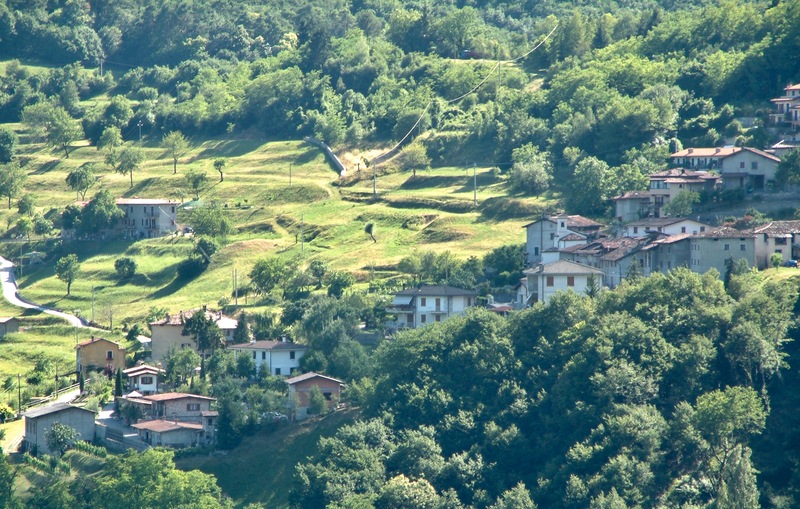 Materials from a pre-Roman settlement have been found in a small hamlet at the foot of Mount Cocca, near Voiandes. The church dedicated to Sant'Antonio da Padova and to San Vincenzo Ferreri, dating back to the mid-18th century, can be found In the heart of the medieval historical centre. This small church was rebuilt several times, until it reached its current look. It’s a simple, rectangular building, with a gable roof. Inside there’s a remarkable painting, depicting the Madonna surrounded by Saints Vincenzo Ferreri and Antonio da Padova. The road leading to Voiandes road corresponds, except for the initial section, to the trail up over the western slopes of Monte Cocca, heading to Malga Pra di Toni, and further up to Cargadora. Along the road from Seciandes to Secastello there is a wooden cross, a popular place for prayers and offerings in the past. The inhabitants of Voiandes have always been very hospitable, and always took good care of their village - you will be able to get to know them and appreciate their spirit of cooperation both in spring and summer, during festivals and events. In winter, you can admire beautiful Christmas decorations and the traditional nativity scene of the village, whereas the patron saint’s day is celebrated on June 13, the day of Sant'Antonio da Padova.